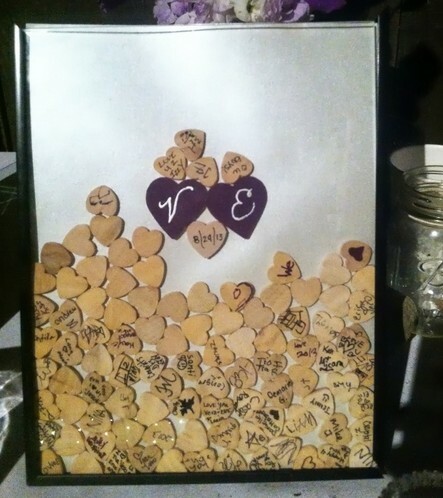 Turn a frame into a drop box that guests can fill with their messages written on small wooden hearts! Follow the tutorial on the source to create this idea. See a tutorial on how to make wooden hearts out of Popsicle sticks.